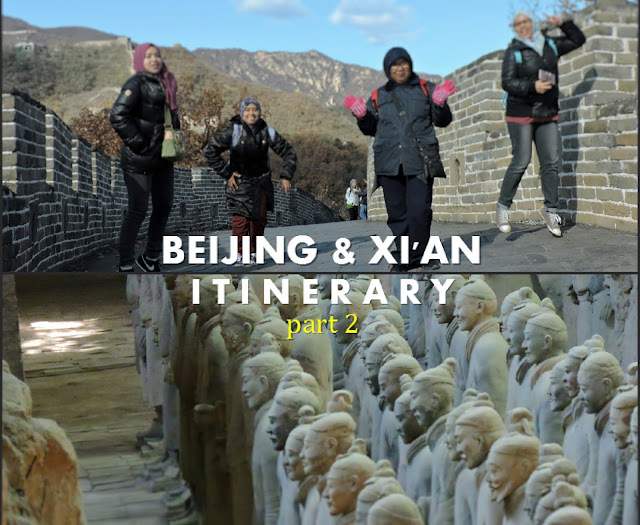 If this is your first time visiting my blog, do check out my first part of this post - Beijing & Xi'An Itinerary Part 1. 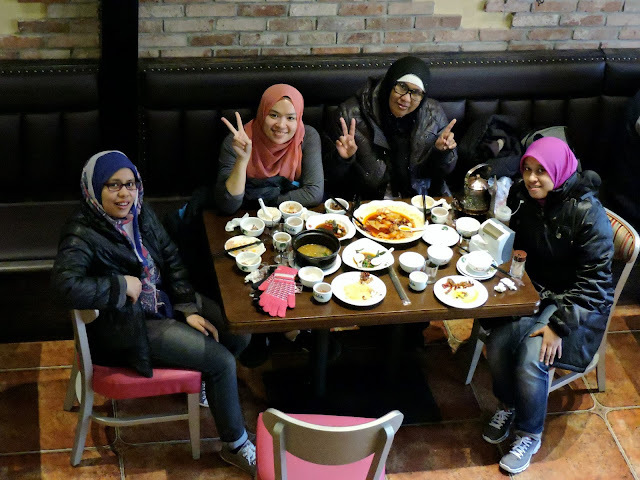 1st Day - Beijing : Familiarize with surrounding. Street market. Long relaxing time. 2nd Day - Beijing : Forbidden City during day. Nan Luo Gu Xiang during night. 3rd Day - Beijing : Mutianyu Great Wall. Wang Fu Jing during night. 4th Day - Beijing : Nearby park to relax. 14-hour train. 5th Day - Xi'An : Muslim Street. 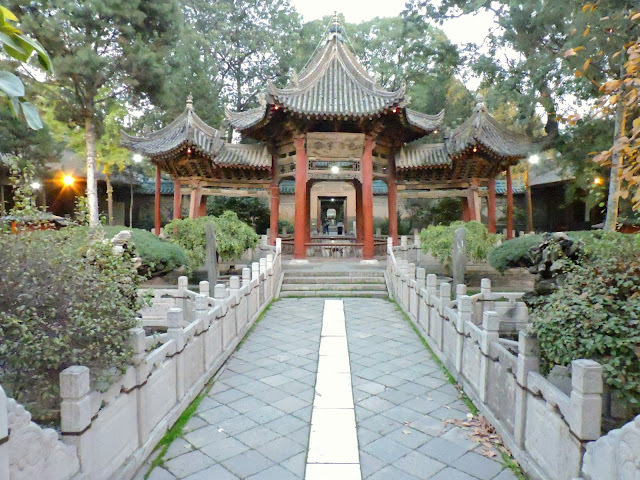 Great Mosque of Xi'An. Drum Tower. Bell Tower. Hot pot for dinner. 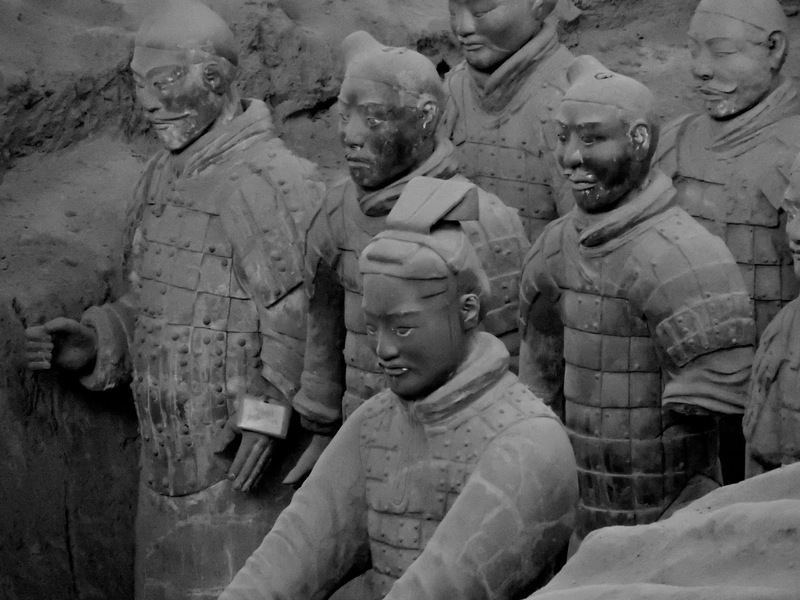 6th Day - Xi'An : Terracotta Army Museum. Airport. We spent most of our 4th day in the train. The tickets cost us RMB 188 per person for a hard bed. That was inclusive of processing fee and Paypal charges, because I booked them a month before traveling. 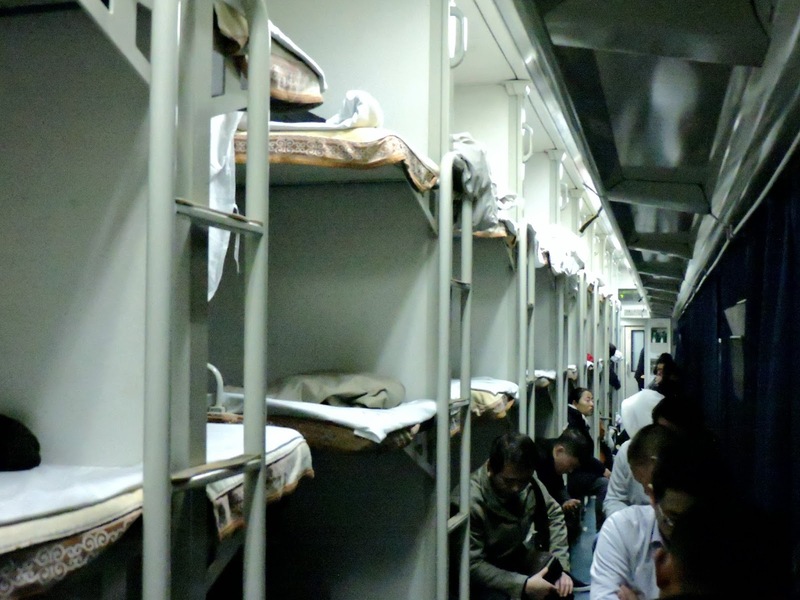 Take my advice and do not get too stingy with yourself when purchasing ticket for regular train in China. The difference between them was nearly RMB 100, but what made it worth it was the accommodation and space. Getting a single seat would be fine if you were having 1-2 hours commuting. But if it was overnight, you wouldn't want to cramp up your entire body on that tiny/hard seat. The hard bed came with, of course, an adult size bed with pillow and blanket, two tables and two chairs for each section, a clean shared toilet and water boiler for the whole cabin. There isn't a need to get too worried about crowd, as one hard bed cabin only accommodates up to 60 passengers. While single seat cabin accommodates twice the amount. And the ticket comes with only a hard seat and shared toilets. By the time we reached Xi'An Train Station, it was already dawn, around 6.00 am. My contact in China selected a hotel/dormitory just next to Bell Tower. It was accessible by metro or public buses. 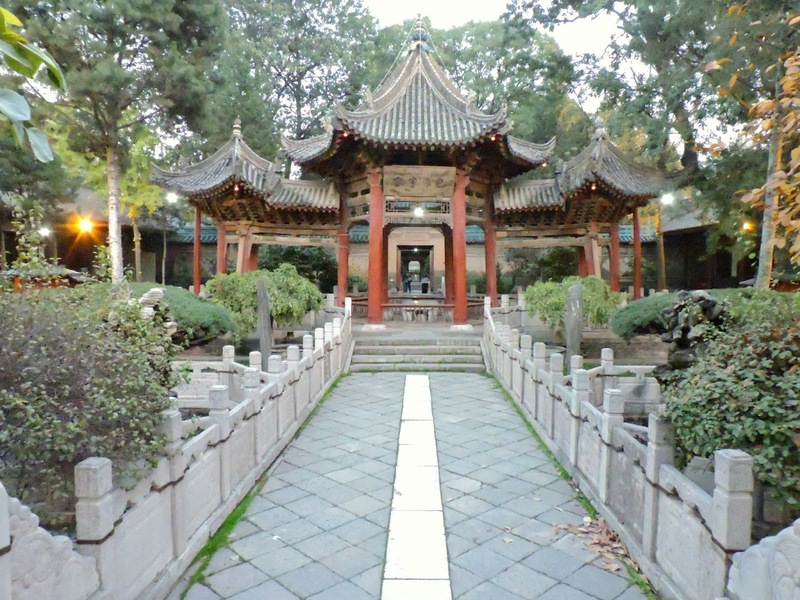 Due to its good location, which was exactly in the city center, our plan of the day focused only on these few destination - Bell Tower, Drum Tower, Muslim Street and Great Mosque of Xi'An. All these four places were perfectly near to each other and only took us around 15 minutes to walk. Entrance fees for Bell Tower, or Zhonglou (钟楼) and Drum Tower, or Gulou (鼓楼) ranged from RMB 40-50 (I was meeting a friend and did not exactly join the day tour). As for the Great Mosque (西安大清真寺), you could enter for free if you were Muslim and wished to perform prayer in it. But if you weren't, RMB 40 per person would be charged to enter. The mosque was a nice place for photography, but they had to control the number of crowd due to limited space and privacy of pilgrims. At night, we strolled through Muslim Street, or Huimin Jie (回民街), which was located just outside of the Great Mosque. There were around 10 streets combined and formed the tourist hot spot. An advice from my friend here, was to go deeper in the streets. You would find yourself better selections at cheaper rates. We got ourselves a double hotpot that cost around RMB 40 per person. It was quite cheap, considering the amount of food we ordered. Great meal we had. Our last day was simple and relaxing. We checked out from the hotel around 9.00 am and hired a driver to Terracotta Army Museum, or Bing Ma Yong (兵马俑). It cost RMB 300 for the entire day. Only 1 hour was required from city center to the museum. Perhaps it was weekday, we faced no difficulty with traffic on our way out. Once arrived, we had to pay RMB 150 each to enter the museum. There were numbers of tour guide stood-by to offer their service. I assumed there were at least Mandarin, English, Russian and Spanish language provided. But our group figured that we'd all made our homework and knew part of this museum, so went in without a tour guide. The entire visit lasted roughly 4 hours, but not solely in the museum, you will have to walk pass a huge garden on the way up, and rows of shops and restaurants on the way down. The walk alone took us around 45 minutes. Our flight back to Kuala Lumpur that night was at 12 midnight. But by the time we got into our car, we still had around 3 hours to spare. So, the driver took us to the souvenirs stores nearby and another detour back to Muslim Street for one last shopping. Once everyone was done, we tipped the driver another RMB 200 for one last trip to Xi'An International Airport. It could have been RMB 50 cheaper with another driver my friend recommended. But we were too exhausted for any transit, so this extra money worth the while. We managed to arrive at the airport just in time for check in and relax. The driver was welcoming and we had good conversation with him. It was just something nice that all of us need before leaving this country. No delay and no trouble caused on our way home. We arrived at Kuala Lumpur International Airport around 6.00 am. And finally got ourselves some Nasi Lemak. Lovely time.